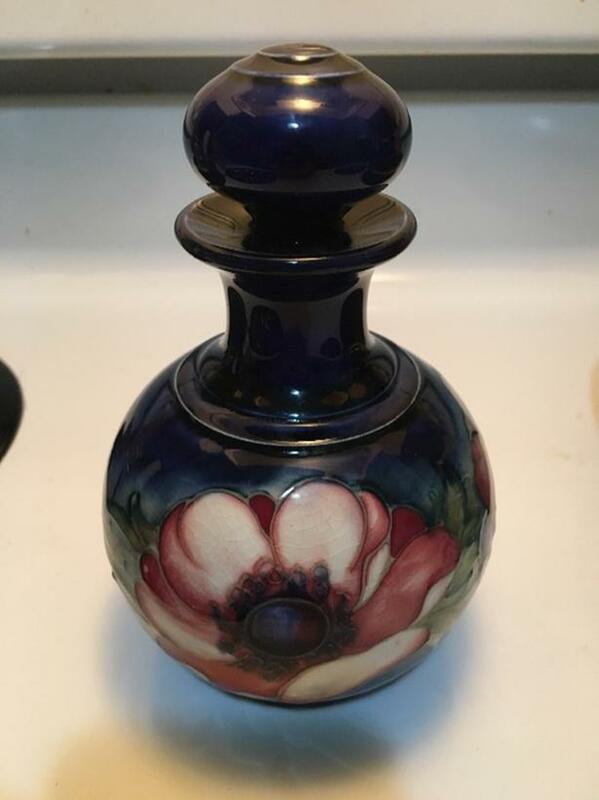 Cobalt blue Moorcroft scent bottle. Has one little touch up on the bottom rim but otherwise in very good condition. $300 obo.